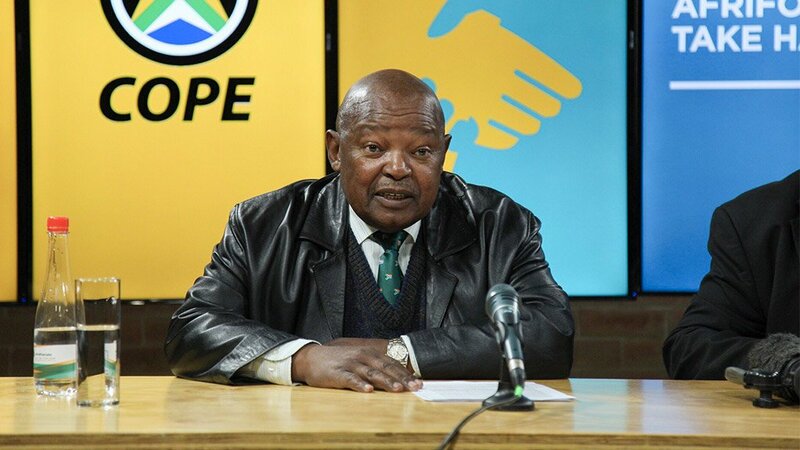 Congress of the People (Cope) leader Mosiuoa Lekota has gazetted his intention to introduce a private member's bill that seeks to allow people not representing a political party to be elected to provincial legislatures and Parliament. This follows a recent ruling of the Constitutional Court, which found that "every adult citizen may in terms of the Constitution stand as an independent candidate to be elected to municipalities, provincial legislatures or the National Assembly". "The enjoyment of this right is not and has not been proscribed by the Constitution. It is just not facilitated by legislation. But that does not mean that the right is not available to be enjoyed by whoever might have lost confidence in political parties. It does, in my view, remain open to be exercised whenever so desired, regardless of whatever logistical constraints might exist," the ruling reads. In his notice, which was published in Friday's Government Gazette, Lekota noted that the current electoral system for the National Assembly and provincial legislatures is one in which political parties, and not individuals, contest elections. "Each party is allocated a number of seats in the National Assembly and provincial legislatures calculated according to a formula contained in schedule 1A of the Electoral Act, 1998 (Act No. 73 of 1998), reflecting as closely as possible the proportion of votes that party obtained in the general elections," Lekota wrote. "Each party determines which of its members fill the seats so allocated. While there are some advantages of such a system, there are also some weaknesses such as: a lack of accountability of members of the relevant legislatures to its voters; alienation of voters from the political system; and no provision is made for the voting public to vote for individual members – there is merely a link between the public and political parties." Lekota's draft bill, the Electoral Laws Amendment Bill, will seek to amend the Electoral Commission Act, 1996, to provide for and to regulate independent candidacy. It will also seek to amend the Electoral Act to give full effect to section 19(3)(b) of the Constitution, which provides that every South African citizen has the fundamental right to stand for public office and, if elected, to hold office, to ensure that individuals can stand for office as independent candidates without belonging to a party and to promote democratic governance and electoral accountability. Interested parties and institutions are invited to submit written representations on the proposed content of the draft bill to the Speaker of the National Assembly by January 21, 2019. Representations can be delivered to the Speaker, New Assembly Building, Parliament Street, Cape Town; mailed to Speaker, PO Box 15, Cape Town, 8000, or emailed to speaker@parliament.gov.za and copied to mlekota@parliament.gov.za.